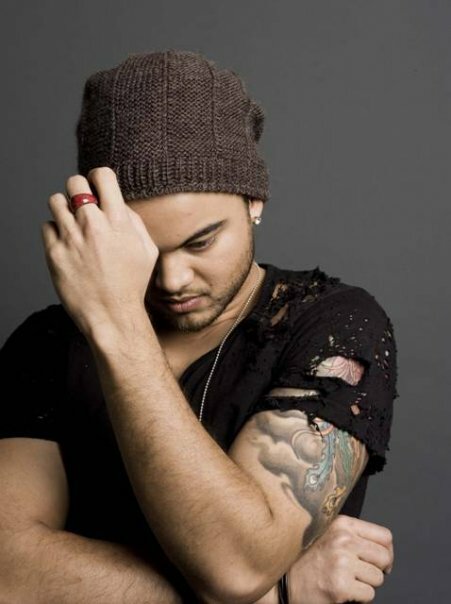 Guy Sebastian was born in Klang, Selangor, Malaysia on 26 October 1981. His father also born in Malaysia has Sri Lankan Tamil descent with Portuguese roots and his mother is of English and Portuguese descent raised in India. Guy has three brothers. The family has moved to Melbourne, Australia at the age of 6. After turning 10 his family moved to Adelaide, which they were to call home for all of Guy's teenage years. Guy's interest in music started at a young age, taping his favorite songs from the age of four. As a child Sebastian took violin lessons, and although he had no formal training in other musical instruments also plays guitar, drums and piano. It was only at the age of 14 that Guy started singing. Sebastian attended Paradise Community Church, becoming one of their main worship singers. Sebastian began studies in Medical Radiation after graduating from high school, but left to pursue a career in music. He taught vocals at Temple Christian College and other high schools while also working as a recording engineer and studying Music Technology at the Other School of Music. Over the course of his career Guy has received 22 ARIA Award Nominations including Single of the Year, Best Male Artist and Best Pop Artist, and won the ARIA Award for Highest Selling Single for "Angels Brought Me Here" and "Who's That Girl". Altogether, Guy has released 11 top ten singles, and three other top 15 singles. Six of those singles have achieved multi-platinum certification, including the 8x platinum "Battle Scars". With 42 platinum, three gold certifications and combined album and single sales over 3 million in Australia, Guy has one of Australia's best success stories. And in August 2013, "Battle Scars" went Platinum in the US, with Guy being one of few artists in Australian music history to achieve this. In November 2003, Guy became the first Australian Idol winner, capturing the hearts of Australians with his uniqueness and incredible vocal talent and gaining a recording contract with BMG, which later merged with Sony. He then travelled to the UK to compete in World Idol, finishing seventh. His first solo single "Angels Brought Me Here" debuted at Number 1 and was the fastest selling Australian single in ARIA chart history. The smash hit single also reached Number 1 in Malaysia, Singapore, the Philippines, Indonesia and New Zealand, proving Guy is a world class talent. In early 2004 Sebastian appeared at the Asian MTV Awards, was a guest judge on New Zealand Idol and performed on Indonesian Idol. His debut album "Just As I Am" once again dominated with record breaking sales. The success carried effortlessly into his second album, "Beautiful Life", where Guy took more control of his craft, giving audiences a clearer perspective on his work without the weight of Australian Idol in his shoulders. "Beautiful Life" went Double Platinum earning him another Number 1 single "Out With My Baby", which also scored him a 2005 MTV AVMA for Best Pop Video. A sell-out live tour showed the country he was more than just an as-seen-on-TV star with big hair - he was a genuine musician who oozed talent. Having sold a staggering half a million records, Guy released his third album "Closer To The Sun" in September 2006. The album has to date reached platinum status and continues to sell strongly with three singles having being released. In 2007 Guy won the publicly voted ‘Fave Aussie' gong at the Nickelodeon Kids Choice Awards in Sydney for the third consecutive year. Guy also partnered Sarah Ryan three-time Australian Olympic swimmer on the Seven Network program It Takes Two. In May 2007, Guy performed with a 60 piece Australian Philharmonic Orchestra for three special shows at the Sydney Opera and Hammer Hall, Melbourne. All of these shows were sold out. Also in 2007, Guy recorded his fourth studio album in Memphis, TN entitled "The Memphis Album", which is a collection of the greatest soul songs ever to come out of the Stax Records label. For the recording sessions he assembled many of the musicians who wrote and played on some of the original tracks, including some of the greatest musicians of all time including Steve Cropper and Donald “Duck” Dunn. The Memphis Album was released in November 2007 and sold more than Double Platinum, taking Guy back to the top of the charts. In March 2008 the entire Memphis band joined Guy on his national Australian tour. The tour was met with critical acclaim and was nominated at the Helpman Awards for ‘Best Tour and Live Performance'. In October 2008 The Memphis Album became Guy's third album to be nominated for the Highest Selling Album category at the prestigious ARIA Awards. In early 2007 Guy also wrote an recorded the official song for the World Youth Day 2008 which he performed on 20 July 2008 before the papal address to a live audience of 500,000 and a television audience of an estimated two billion. In October 2008 Guy was nominated for and won two Australian Club Industry awards including the prestigious ‘Outstanding Performer of the Year'. In 2008/2009 Guy moved to the US to record his 5th studio album. He spent time in Los Angeles recording tracks for the album with John Mayer, whose legendary guitar playing features on four songs. The remainder of the album was recorded in New York. In August 2009 the title track of the album "Like It Like That" was released and went straight to the top of the National Airplay and ARIA charts giving Guy his 4th#1 single. The song was picked up by NBC in the US as the theme song to their national summer roll out campaign. Channel Seven also picked up the song to front their summer roll out across Australia helping take the track to the highest selling Australian song on iTunes in 2009. Guy's 5th studio album "Like It like It" That was released in November 2009 to critical acclaim, with the album going Platinum and the title track "Like it Like That" going triple platinum. In 2010 Guy toured the US and Australia, worked as a judge on Channel 7's hit television show The X Factor, and also received six ARIA nominations for the 2010 ARIA Awards. In November 2010 Guy released a retrospective ‘greatest hits' hits package called "Twenty Ten". The single "Who's That Girl" and the album both went straight to the top of the ARIA and National Airplay charts and within four weeks had both reached Platinum sales. "Twenty Ten" was Guy's sixth consecutive Platinum selling album. Apart from the success of The X Factor, 2012 was a huge year for Guy in many other ways. He and wife Jules welcomed their first son Hudson in March, which was almost immediately followed by the national sold out Armageddon tour. Guy's 7 th album, also entitled "Armageddon" was released in October and featured four hugely successful singles: "Don't Worry Be Happy", "Gold", "Battle Scars" (featuring Lupe Fiasco) and "Get Along". "Don't Worry Be Happy" reached number five on the ARIA charts and 4x platinum status, "Gold" reached number ten and gold status, "Battle Scars" debuted at number 1 and reached 6x platinum status and is Guy's sixth Number 1 song in Australia. It also reached number 2 in New Zealand and double platinum status there as well as number 6 in Norway. "Battle Scars" also spent 20 weeks on the US Billboard Hot 100 chart, also achieving platinum certification. Guy performed the song live for the first time with Lupe Fiasco on The X Factor. He then performed the song in New York on The Late Show with David Letterman on 27 September, 2012, and again in early 2013 with Lupe on both Late Night with Jimmy Fallon and Conan. "Battle Scars" was used in the US promotion for the movie "Red Dawn" and on release peaked at number one on the Billboard Rhythm Charts. Subsequently "Battle Scars" won the R&B/Hip-Hop category in the International Songwriting Competition, and "Get Along" won an Honourable Mention. "Battle Scars" was also used in the official trailer for the movie "The Butler" and reached platinum sales in the US in August 2013, seeing Guy join the small group of Australian musicians to have achieved this level of sales in the US. "Get Along" was again used in Tony Abbot's address to the United Nations in 2013. 2013 saw Guy‘s national Get Along Tour sell out across all 47 show dates in all markets across Australia, running from March until the end of June. Guy has spent the majority of 2013 between Sydney and Los Angeles writing his 8th studio album. In December of 2013 Guy opened for Taylor Swift on the Australian leg of her 2013 world tour, ‘The Red Tour', featuring 6 sold out stadium concerts across Australia's major metropolitan cities. In October 2013 Sebastian released "Like a Drum", the lead single from his eighth studio album. Debuting at number four, it became his 12th top ten single in Australia, and his tenth to reach the top five. It has been certified triple platinum in Australia. "Like a Drum" was released in the United States, Canada, and Europe in January 2014 through The Cherry Party and RCA Records. The song reached number 20 on the Billboard Dance Club Chart and 49 in Sweden. The second single, "Come Home With Me", reached number 13 on the Aria Singles Chart. The third single, "Mama Ain't Proud" featuring 2 Chainz, peaked at number 17. Both these singles reached gold certification. Sebastian received two 2014 ARIA nominations, Best Male Artist for "Come Home With Me" and Song of the Year for "Like a Drum". The fourth single, "Linger", has reached number 17 and gold certification. 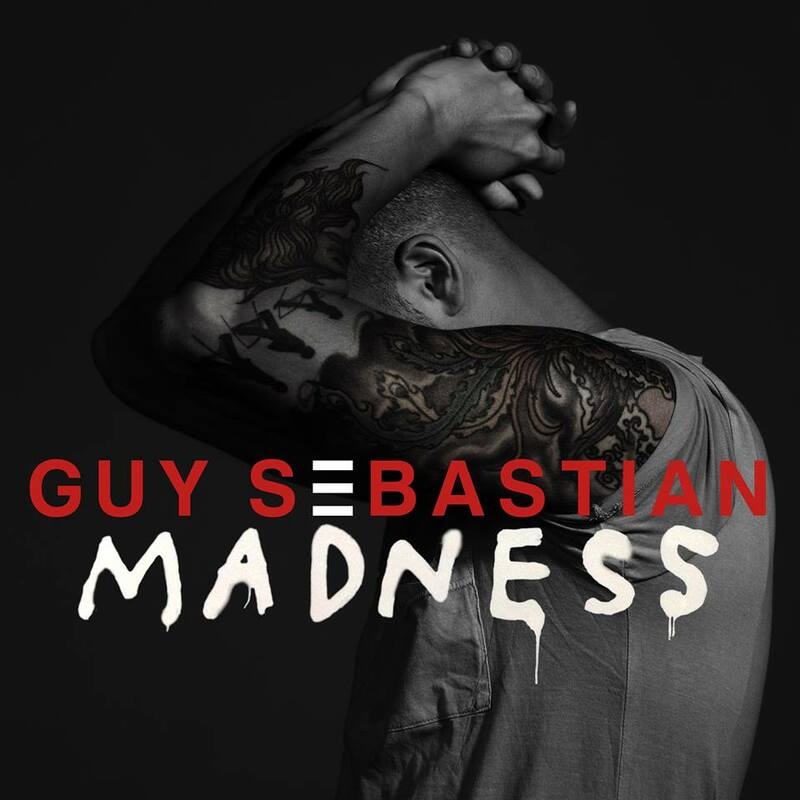 Sebastian's eighth album, "Madness", was released on 21 November 2014 and debuted at number six and has been certified gold. Sebastian wrote the songs for "Madness" with a number of different songwriters, with the exception of "Elephant", "Alive" and "One of Us" which he wrote alone. The album is eclectic, with a mixture of soul, R&B and pop songs. Sebastian said the writing of the album took two years. Originally, Guy was considering to take part in the contest with one of the ballad tracks from the album. "The song that we end up choosing will definitely be something that I want to move people with. Whatever I do I want to make it cut through. So if I do a big up-temp (song) I want it to be super fun. Or if I do a ballad I want to try to make people cry", he said. Aside from his music, Guy enjoys a reputation as a person of the highest moral values and integrity. He is an official ambassador for The Red Cross and World Vision, and also supports the Royal Children's Hospital, Sydney and The Royal Melbourne hospital. In late 2013, Guy and his wife Jules established The Sebastian Foundation and the collaborative nature of the organisation will see both Guy and the Foundation work in conjunction with a range of different benevolent organisations both nationally and on a global scale in order to create a lasting change in the lives of the less fortunate. "I'm pumped. I mean it's Eurovision. It's such a huge audience and such a huge production. To be representing Australia at Eurovision sounds a bit random, but we're a wildcard entry and I'm stoked to be chosen. When it came time to decide on a song, I thought since I had a couple of days off in Australia I would try and write something new. But if I was to record a new song I wanted it to be home-grown and organic with my band in my studio. Truly, we jumped in the studio and let it happen because I wanted to write something fun! We all have moments you don't want to end and you wish you could live those moments every day so I wanted to write a song about that feeling. I am sure that is how I am going to feel when I am in Vienna performing." Tonight Again showcases the trademark soulful sound which Guy is renowned for. With a contemporary R&B style bursting with hooks, beats and celebratory lyrics, Tonight Again is a song that belongs on the Eurovision stage. Written, recorded, mixed and mastered specifically for Eurovision two days before submission deadline in Sydney, Tonight Again is a new song highlighting Guy's vocal prowess with upbeat pop styling and a catchy anthemic feel. Saturday 2 May – Austrian Ambassador farewells Guy Sebastian in Sydney. 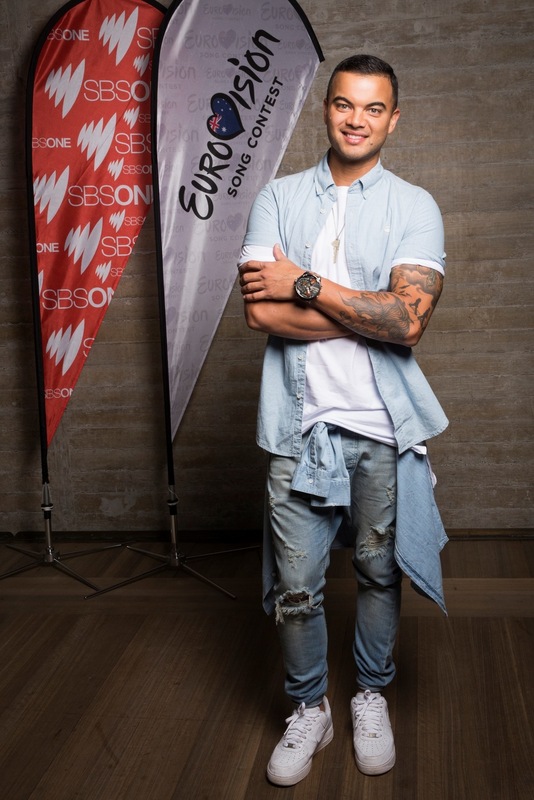 It’s 3 weeks to the Grand Final of the Eurovision Song Contest and Guy Sebastian is farewelled by the Austrian Ambassador, Helmut Böck, at a function in Sydney. "When Australia would win the 2015 Eurovision Song Contest, the next contest will take place in Europe, as announced earlier, for practical reasons. In such case, there are numerous potential European broadcasters SBS Australia could partner with, one of them being NDR in Germany, amongst several others. The cooperation with one particular public broadcaster would only be further explored and formalised should Australia win the upcoming contest. To leave no doubt for speculation about the possible host country of the 2016 Eurovision Song Contest in case of an Australian win, we stress that Mr. Björkman's unfortunate comments are nothing but premature"
Christer Björkman term in Eurovision Reference Group will end in 2015 after ESC in Vienna, at the elections held during previous Group meeting in Vienna, he was not re-elected for the next term. Unless, of course, Sweden will win and host Eurovision next year. "Why Christer Björkman made ​​these comments publicly, of course, is not clear", says German NDR correspondent Jan Feddersen in his report for official German ESC website Eurovision.de. 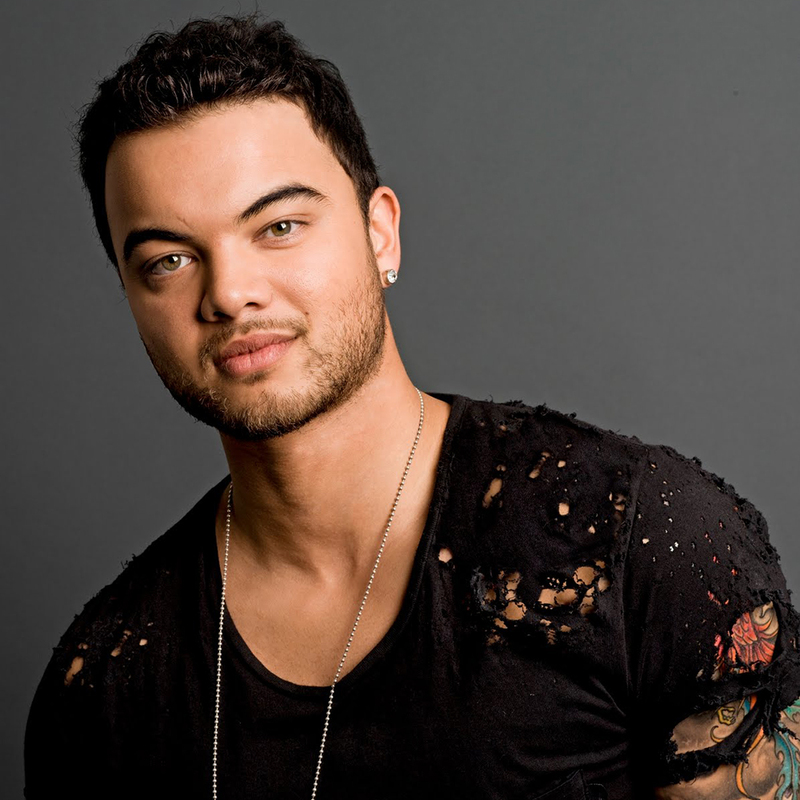 Continuing his European promotion after Eurovision In Concert in Amsterdam, Guy Sebastian has appeared in the "Life 4 You" TV show, where he has performed acoustic version of his entry "Tonight Again". Watch the video from the show here. During the interview, Guy joked that his Eurovision performance will include mechanical kangarooes shooting fire, but later admitted that it will feature some "fancy streetlights". On Wednesday, Australian candidate has appeared in the MOMA show on German TV, you can watch his performance here, as well as on DAS!, watch the video here. He also got the chance to perform his entry for Eurovision 2015 live. He decided to perform an acoustic version of his song, with him at the piano and a friend on the guitar. For Vienna, he’ll still use the normal version and also revealed he’ll have ‘fancy streetlights’ on stage in Vienna… You can watch Carlo & Loretta’s interview with Guy (partially in Dutch, mostly in English) below! If you just want to see the acoustic version, skip to 6:18! 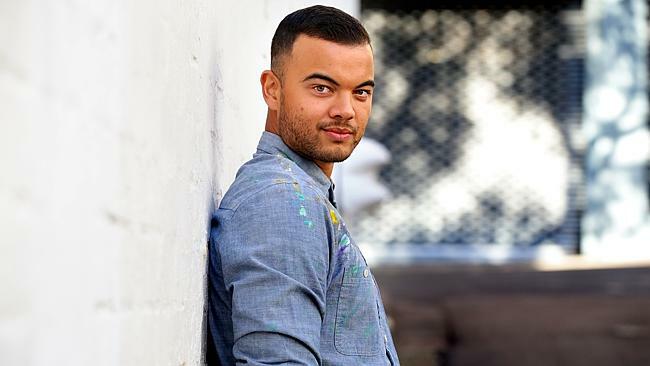 Australian Eurovision star, Guy Sebastian speaks about his excitement for Eurovision this year and performs a short acapella version of ‘Tonight Again’. Sydney provided a perfect sunrise for the Australian postcard shoot on March 26 for the Blink TV film crew. Australia’s postcard will be shown just before Guy Sebastian’s performance in the Grand Final on Saturday 23 May 2015 from Vienna. The package, a personal gift all the way from Austria travelled high above the harbour on one of Sydney's famous sea planes, before it was transferred to a high speed water taxi for delivery to Australia's first Eurovision artist, Guy Sebastian. Guy was left wondering what the Austrian film shoot has in store for him. He was certainly intrigued! For the second year in a row, Eurovision will also be officially broadcasted in New Zealand. Subdivision of BBC UKTV New Zealand will be broadcasting all 3 ESC 2015 shows live at 7 am, and also will repeat them recorded on 20 and 22 May at 8.30 pm, 24 May at 6.30 pm. 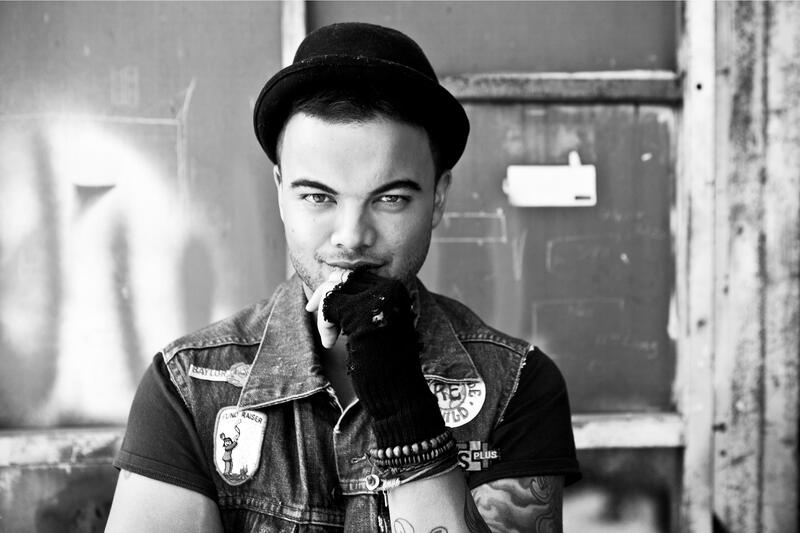 Guy Sebastian will represent Australia at the Eurovision Song Contest in Vienna -but the song has not been decided. The announcement was made by SBS at a Live press conference this night (Australian morning) at the Sydney Opera House hosted by Julia Zemiro and Sam Pang. Watch interview with ABC News here. “We are very excited to have secured an opportunity for Australia to be represented at Eurovision. 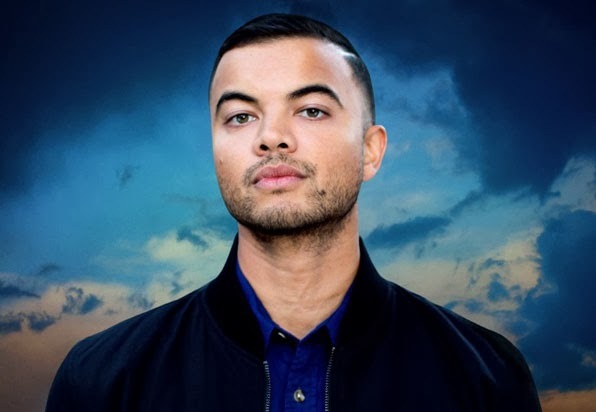 It has been a four year journey to achieve this ambition and I'm so proud that Guy Sebastian will be representing our country to Eurovision's world audience. As an accomplished artist who has achieved global success, Guy's vocal talents are unrivalled and he has the experience, maturity and strength of character to represent us in this competition. 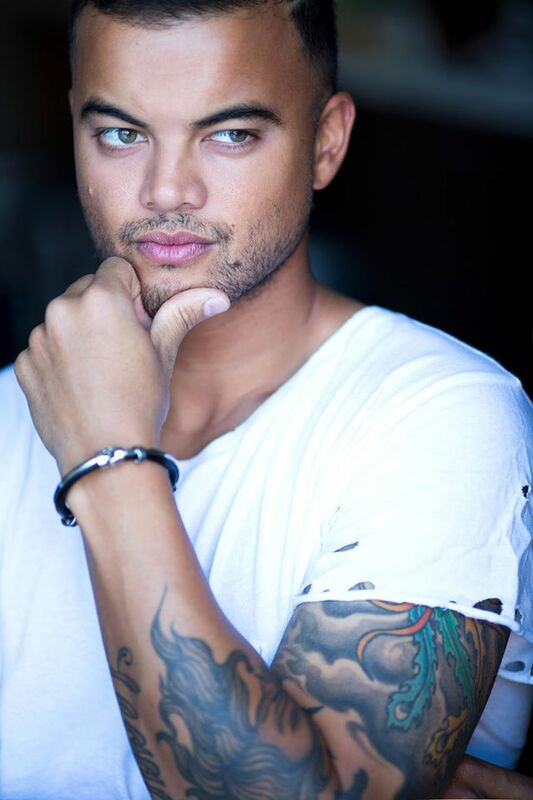 Australians love to compete, and we wanted to find someone who we can all believe in and get behind, and Guy is the perfect artist to represent Australia and SBS on the world's stage"
“We're thrilled to announce Guy Sebastian as our as our first Eurovision competitor. He has an individual soul voice that suggests the greats like Stevie Wonder and Al Green, but is distinctively his. He has matured to become a terrific songwriter, and songs like Battle Scars and Linger show his integrity as an artist, and the depth of his talent. Most of all, Guy is an artist that reflects where Australia is now – he is very much a fitting ambassador for our music and our cultural life (and not just because of his love of cricket), I'm sure he will fly the flag for us wonderfully. One of the biggest factors in making this choice is the scale of the event – we need an artist who has the confidence to nail it on the world's biggest stage. I know Guy will be one of the best singers there this year. And who knows he may just bring it home"
“Guy has become one of Australia's most successful artists over the past 12 years through amazing talent and sheer hard work. Since 2003, he has delivered a series of multiplatinum singles and albums with sales over 4.5 million units in Australia, and over 1 million copies sold of ‘Battle Scars' alone in the USA. It is such an exciting opportunity for Guy to be the first Australian representative and I am incredibly proud that he will be representing Australian music on the world stage at this year's Eurovision Song Contest. We are delighted to be partnering with SBS on this wonderful opportunity and look forward to sharing his incredible talent with the rest of the world." “It's incredibly exciting to be given the opportunity to perform at the Eurovision Song Contest. It is the biggest music event in the world with an amazing history and tradition and I'm truly honoured to be invited to represent Australia in its first time ever in the competition"
Reference group of Eurovision Song Contest from the side of European Broadcasting Union and EBU Television committee have taken a decision to allow in 60th anniversary Eurovison Australian entry as competing one. The decision was made public on 10 February 2015. The entry is expected to be allowed directly into the final of Eurovision, alongside Big 5 and Austria, bringing number of finalists to 27 and total entries to 40. Eurovision final will be broadcast on TV live in Australia on Sunday morning (starting 5am local time) hosted by Julia Zemiro and Sam Pang and then repeated on Sunday evening as the packaged broadcast with behind the scenes interviews and other additional features. Watch the promo-video of Australian participation here. 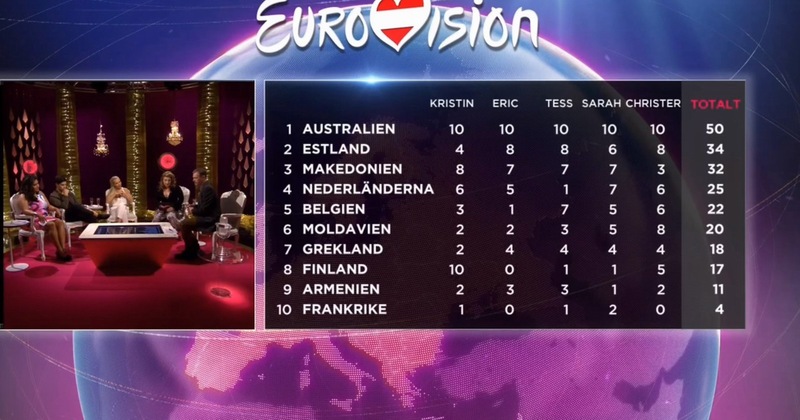 Australia will also get a unique chance to vote in both semi-finals and the final, and in addition to the professional jury possibility of organization of televoting is now considered. If Australian entry wins, then SBS Australia will need to enter in collaboration with European broadcaster to organize 2016 contest in Europe. Currently, it seems Germany is in the negotiations to host the show in the case of Australian victory. In case of a victory, Australia will be allowed send a participant to the Eurovision Song Contest next year again. As every other participating country, Australia will get it's right until 16 March 2015 to select it's representative. Speaking to Sydney Morning Herald Julia Zemiro said: "SBS in collaboration with production partner Blink TV will choose the artist who will represent Australia in the Eurovision Song Contest 2015.". Zemiro joked she'd like to see "an indigenous gay and lesbian performer" get the gig, adding later that SBS though will not send a "novelty act" to the contest. "The production company will handle that... [but it will be] a combination of who wants to, who is available and who can sing the song.". On 16 February Blink TV has made an open call to the artists wishing represent Australia at Eurovision to send their submissions to office@blinktv.com.au. Deadline 17.00 AEDT 20 February. Preference would be given for Australian singers and songwriters. SBS and Blink TV will also be approaching several labels and professional artists for entries directly. It was noted that 73 were received during one day. The representative will be announced on Thursday, March 5, 9.30 am local (Wednesday, 23.30 CET) on a special press-conference in Sydney Opera House and live broadcast on SBS One. Fans can also have a say voting in SBS poll here (listed acts: 1. Five Seconds of Summer; 2. Gina G; 3. Gotye; 4. Iggy Azalea; 5. Jessica Mayboy; 6. John Buttler Trio; 7. Kylie Minogue; 8. Nick Cave; 9. Olivia Newton-John; 10. Ricky Lee; 11. Shannon Noll; 12. Sia; 13. Yothu Yindi). "We are very excited to have secured this historic opportunity for Australia to be represented on the world's biggest stage at the 60th anniversary of the Eurovision Song Contest and are honoured that the European Broadcasting Union has supported us to achieve this ambition. SBS has been broadcasting Eurovision for over 30 years and we have seen how Australians' love of the song contest has grown during those years"
ORF Director General Dr. Alexander Wrabetz says: "The song contest has developed in its history to become the biggest TV entertainment event in the world. With the participation of Australia, together with our partners at the EBU and SBS, we have succeeded to lift it to a new global level and to build another bridge for the 60th anniversary. A bridge that spans the globe, starting from the heart of Europe.". Andy Mikheev, vice-president of OGAE Rest of the World, official Eurovision fanclub for non-European countries that also serves Australia, says: "We hope the one-off EBU decision will lead to the bigger recognition of the Australian Eurovision fan movement in Europe and Australia will be allowed to get own official OGAE Eurovision fan club. We have been submitting such a proposal to OGAE International in the last several years, however, it always was rejected based on the fact that Australia has never competed in the show. This will change now". It is a first EBU decision of it's kind after Kosovo has been allowed to compete in Eurovision Young Dancers without being EBU member. Last year, participation of non-EBU broadcasters was also discussed for Junior Eurovision, but the final decision on this subject has been delayed for a year. The news have seemingly has separated strong community of ESC followers, who have noted that there have been more countries in line for Eurovision participation that should have been also given same priority treatment, such as Kazakhstan, located partially in Europe and broadcasting contest for more than five years. Additional suggestions included concentrating on return of Turkey, Ukraine, Croatia, Bosnia rather than bringing in non-European countries. @ESCKAZ @thequalitydan @jonolasand Whatever reasons have been considered they are bizarre and not fitting of #eurovision's brand revival. Гай Себастиан - единственный австралийский исполнитель-мужчина, чьи песни шесть раз, а альбомы - дважды возглавляли национальные чарты Австралии. Гай Себастиан родился в Кланге, Селангор, Малайзия 26 октября 1981 года. Его отец также родился в Малайзии и имеет шри-ланкийско-тамильские и португальские корни, а мать, выросшая в Индии, имеет английские и португальские корни. У Гая есть три брата. Семья переехала жить в Мельбурн, Австралия, когда Гаю было 6 лет. В возрасте 10 лет она перебирается в Аделаиду, где и прошли все подростковые годы Гая. Его интерес к музыке проявился с раннего возраста, с четырех лет он уже записывал на кассеты свои любимые песни. В детстве Гай брал уроки игры на скрипке, и хотя никогда не занимался другими музыкальными инструментами профессионально, играет на гитаре, ударных и фортепиано. Петь Гай начал только когда ему исполнилось уже 14 лет. Гай ходил в Церковь сообщества Парадайз, став там одним из лидеров прославления. После школы Себастиан сначала решает учиться на медика, но в итоге все-таки отдает предпочтение музыке. Он преподает вокал в христианском колледже Темпл, и параллельно работает звукорежиссером и изучает музыкальную технологию. За свою музыкальную карьеру Гай получил 22 номинации на премии ARIA, включая Сингл года, Певец года, Поп-исполнитель года, и получил премию ARIA за самый продаваемый сингл - за песни "Angels Brought Me Here" и "Who's That Girl". Всего, 11 песен Гая входили в десятку национального чарта, а еще три - в топ 15. Шесть из синглов исполнителя стали мультиплатиновыми, включая 8-кратно платиновый "Battle Scars". С 42 платиновыми, тремя золотыми дисками, и общим количеством продаж синглов и альбомов свыше 3 миллионов, Гай является одним из самых продаваемых исполнителей за всю историю Австралии. В августе 2013 года его трек "Battle Scars" стал платиновым в США, и Гай стал одним из немногих австралийских артистов, добившихся подобного успеха. В ноябре 2003 года Гай Себастиан становится первым победителем шоу "Австралийский Идол", покорив сердца австралийцев своей уникальностью и невероятным вокальным талантом, и заработав контракт с лейблом BMG, который впоследствии объединился с Sony. Далее он принял участие в шоу "Мировой Идол", проходившем в Великобритании, где занял седьмое место. Первый сольный сингл Себастиана "Angels Brought Me Here" дебютировал на 1й строчке и стал самым быстро-продаваемым синглом в истории австралийского чарта ARIA. Хит также возглавил национальные чарты Новой Зеландии, Малайзии, Сингапура, Филиппин и Индонезии, доказав, что талант Гая по настоящему мирового класса. В начале 2004 года Себастиан выступаен на церемонии премий Азиатского кнала MTV, становится приглашенным судьей на Новой Зеландской версии шоу Идол и выступает в качестве гостя на Индонезийском Идоле. Дебютный альбом исполнителя "Just As I Am" вновь доминирует в чартах, достигая рекордных продаж. Успех переходит и на второй альбом - "Beautiful Life", где Гай смог уже музыкально раскрепоститься, сбросив со своих плеч давление "Австралийского Идола". Трек "Beautiful Life" становится дважды платиновым, а еще один сингл - "Out With My Baby" также возглавляет национальный чарт и приносит Гаю приз премии MTV AVMA 2005 за Лучший Поп-Видеоклип. Аншлаговый тур по всей стране показывает, что Гай не только студийный или телевизионный, но и концертный вокалист. Имея на своем счету уже свыше полумиллиона проданных дисков, в сентябре 2006 года певец выпускает свой третий альбом - "Closer To The Sun". На сегодняшний день альбом стал платиновым, и с него было выпущено три сингла. В 2007 году Гай получает приз "Любимому Австралийцу" три года подряд будучи выбран в качестве любимого исполнителя детей на премии Nickelodeon Kids Choice Awards. Гай также выступает вместе с трехкратной олимпийской чемпионкой по плаванию в телепрограмме "It Takes Two". В мае 2007 года Себастиан вместе с Австралийским Симфоническим оркестром дает три специальных концерта в Сиднейской Опере и Hammer Hall в Мельбурне. Все шоу проходят с аншлагом. Также в 2007 году Гай записывает в Мемфисе, США, свой четвертый студийный альбом, получивший название "The Memphis Album", на который вошли лучшие соул-песни всех времен, когда либо выпущенные лейблом Stax Records. Для записи альбома Себастиан собирает многих из музыкантов, игравших на оригинальных треках, включая одних из величайших музыкантов всех времен Стива Кроппера и Дональда "Дака" Данна. "The Memphis Album" выходит в продажу в ноябре 2007 года и продается более чем на дважды платиновый статус, возвращая имя Гая Себастиана на верхние строчки чартов. В марте 2008 года вся Мемфисская группа присоединяется к Гаю в турне по Австралии. Выступления исполнителя на туре были положительно встречены критиками и заслужили номинацию на премию Helpman Award за "Лучшее Турне и Живое Выступление". В октябре 2008 года "The Memphis Album" становится третьим альбомом Себастиана, номинированным на категорию Самый продаваемый альбом на престижной церемонии премий ARIA. В начале 2007 года Себастиан записывает официальную песню для "Международного Дня Молодежи" 2008, которую исполняет 20 июля 2008 года непосредственно перед обращением Папы Римского для аудитории в 500 тысяч и телеаудитории в два миллиарда человек. В октябре 2008 года Себастиан номинируется и завоевывает две премии Australian Club Industry, включая престижную "Выдающийся исполнитель года". В 2008/2009 годах Гай вновь отправляется в США для того, чтобы работать над своим 5м студийным альбомом. Он проводит время в Лос Анджелесе, записывая треки для альбома с Джоном Майером, легендарным гитаристом, сыгравшим на четырех песнях. Оставшаяся часть альбома была записана в Нью Йорке. В августе 2009 года выходит заглавный трек с альбома "Like It Like That", который немедленно возглавляет Национальные радио чарты и ARIA чарты, став 4м топовым синглом исполнителя. Песня была выбрана телекомпаниямии NBC в Америки и Channel Seven в Австралии для своих летних рекламных роликов. Песня становится самой продаваемой австралийской песней на iTunes в 2009 году. 5й альбом Себастиана "Like It like It" выходит в продажу в ноябре 2009 года, становясь платиновым, а заглавный трек с него - трижды платиновым. В 2010 году Себастиан дает выступления в США и Австралии, работает в качестве судьи в шоу "The X Factor" на Channel Seven, а также получает шесть номинаций на Премии ARIA 2010 года. В ноябре 2010 он издает сборник своих лучших хитов, получивший название "Twenty Ten". Сингл "Who's That Girl" и сам альбом возглавляют чарты ARIA и Радио чарты, и за месяц оба достигают платинового статуса. Таким образом, "Twenty Ten" становится шестым подряд платиновым альбомом исполнителя. В 2011 и 2012 годах Гай продолжает заседать в качестве судьи на "The X Factor", при этом конкурсанты его команды Рис Мастинфром в 2011 году и Саманта Джейд в 2012 году завоевывают титулы победителей проекта. Помимо этого, в марте 2012 года на свет появляется первый сын Гая и его жены Джулс - Хадсон. Гай отправляется на тур по Австралии под названием "Armageddon". Альбом под аналогичным названием выходит в свет в октябре, включая в себя четыре успешных сингла "Don't Worry Be Happy", "Gold", "Battle Scars" (feat. Lupe Fiasco) и "Get Along". "Don't Worry Be Happy" достигает пятой строчки чартов и получает статус четырежды платинового, "Gold" - десятой строчки и золотого статуса, "Battle Scars" дебютирует на 1й строке чарта, получает 6-кратно платиновый статус и становится 6м топовым синглом Себастиана в Австралии. Трек также становится вторым в чартах Новой Зеландии, получив там дважды платиновый статус, а также достигает шестой строчки чарта в Норвегии. "Battle Scars" проводит 20 недель в американском чарте Billboard Hot 100 chart, также становясь там платиновым. Гай впервые исполняет эту песню вместе с Лупе Фиаско на шоу "The X Factor". Затем она звучит в Нью Йорке на "The Late Show" с Давидом Леттерманом 27го сентября 2012 года, и затем в начале 2013 на "Late Night" с Джимми Фаллоном и Конаном. "Battle Scars" также используется для промоушена в США кинофильма "Red Dawn" и достигает первой строчки Billboard Rhythm Charts. В последствии она побеждает в R&B/Hip-Hop категории на Международном Конкурсе Авторов. "Battle Scars" также используется в официальном трейлере фильма "The Butler" и становится платиновой в США в августе 2013 года, а сам Себастина, таким образом, одним из немногих австралийских исполнителей, когда-либо достигших такого уровня продаж в США. Трек "Get Along" используется в обращении Тони Эббота ООН в 2013 году. С марта по июнь 2013 года Гай проводит аншлаговый тур "Get Along", который включает в себя 47 концертов. Большую оставшуюся часть года Себастиан проводит в Сиднее и Лос Анджелесе работая над своим 8м альбомом. В декабре 2013 года он выступает вместе с Тейлор Свифт на австралийской части ее мирового тура "The Red Tour", включавшего шесть концертов в крупнейших городах страны. В октябре 2013 года Себастиан выпускает "Like A Drum" - заглавный сингл со своего нового альбома. Дебютировав на четвертой строчке, он становится 12м синглом певца, входившим в десятку лучших синглов Австралии, и его десятым треком попавшим в лучшую пятерку. Впоследствии он получает статус трижды платинового. "Like A Drum" выходит в США, Канаде и Европе в январе 2014 года на The Cherry Party и лейбле RCA Records. Песня занимает 20ю строчку в Billboard Dance Club Chart и 49ю в чарте Швеции. Второй сингл, "Come Home With Me", становится номером 13 в Австралийских чартах Aria. Третий сингл "Mama Ain't Proud" feat. 2 Chainz доходит до 17й строки. Оба эти сингла становятся золотыми по продажам. Себастиан дважды номинирован на премию ARIA 2014, как "Лучший мужчина исполнитель" за "Come Home With Me" и "Песню года" за "Like a Drum". Четвертый сингл, "Linger", занимает 17ю строчку и также становится золотым. Сам же восьмой альбом Себастиана "Madness", выходит в продажу 21 ноября 2014 года и дебютирует на шестой строчке альбомного чарта, также на сегодняшний день получив статус золотого. Себастиан писал треки к альбому "Madness" при участии различных авторов, помимо трех композиций - "Elephant", "Alive" и "One of Us", которые он написал самостоятельно. Альбом - эклетичен, представляя собой смесь соул, R&B и поп-композиций. Написание треков для альбома заняло два года. Первоначально, Гай планировал исполнить на конкурсе балладу из альбома. "Без сомнения, я хочу, чтобы та песня, которую мы в итоге выберем, тронула слушателей. Я хочу прорваться до них. Если это будет быстротемповая песня, то она должна быть сверх зажигательной. Если это будет баллада, то я хочу, чтобы людей пробило на слезу во время ее исполнения. У меня есть определенные мысли касательно песни, и сейчас я рассматриваю два возможных варианта, сказал он во время презентации. Помимо своих музыкальных достижений, Гай имеет репутацию человека с высшими моральными ценностями. Он является официальным послом Красного Креста и организации World Vision, а также поддерживает Королевскую детскую больницу в Сиднее и Королевский госпиталь в Мельбурне. В конце 2013 года, Гай и его жена Джулс создали "The Sebastian Foundation", которая будете сотрудничать с различными благотворительными организациями как на национальном, так и на глобальном уровне для того, чтобы внести изменения в жизни тех людей, которым до этого в жизни повезло меньше. "У меня нет слов. Это ведь Евровидение. Это такая огромная аудитория и такое невероятное по масштабу шоу. Стать на нем представителем Австралии, звучит немного странновато, но раз уж нас пригласили к участию в этом году, я в полном восторге от того, что выбрали именно меня. Когда пришло время определиться с песней, я подумал, что поскольку у меня есть пара свободных дней, то я попробую сочинить что-то новое. Но если я решил писать новую песню, то мне хотелось, чтобы она органично родилась в студии вместе с моей музыкальной группой. Потому мы все отправились в студию, и позволили просто всему происходить само собой, потому что мы хотели написать нечто-то веселое! У каждого из нас есть моменты, которые нам бы хотелось продлить навечно, проживать их каждый день, и я хотел написать песню именно об этом чувстве. Я уверен, что именно так я буду чувствовать себя в Вене, выступая на сцене Евровидения." Tonight Again содержит то фирменное соул-звучание, которым знаменит Гай. В современном R&B стиле со взрывными хуками, битами и праздничным текстом, Tonigh Again принадлежит сцене Евровидения. Написанная, записанная, смикшированная и отмастерингованная специально для Евровидения в Сиднее, всего за два дня до истечения крайнего срока подачи заявок, Tonight Again - совершенно новая песня, которая подчеркивает вокальное мастерство Гая своим быстротемповым поп-стилем и броским гимновым ощущением. "Если Австралия победит на Евровидении 2015, следующий конкурс пройдет в Европе, как это уже и было объявлено ранее, по практическим причинам. В этом случае, есть ряд потенциальных европейских вещателей, с которыми может договориться телеканал SBS Австралия, один из них, это телеканал NDR Германии, но есть и другие. Сотрудничество с одним конкретным общественным вещателем будет изучаться и прорабатываться только в случае победы Австралии на конкурсе этого года. Чтобы положить конец всем спекуляциям о возможной стране проведения конкурса 2016 в случае победы Австралии, мы хотим прямо подчеркнуть, что неудачный комментарий г-на Бьоркмана нельзя назвать иначе, как преждевременным"
Срок пребывания Кристера Бьоркмана в Организационной группе завершится в 2015 году по окончанию Евровидения в Вене. На выборах, прошедших во время прошлого заседания группы в Вене, он не был переизбран на новый срок. Таким образом, он покидает организационный состав конкурса, и останется в нем только в случае победы Швеции и проведения в Швеции конкурса 2016. "Почему вдруг Кристер Бьоркман решил сделать публично подобные комментарии, совершенно не ясно", говорит корреспондент немецкого телеканала NDR Ян Феддерсен в своем репортаже для официального сайта Евровидения в Германии Eurovision.de. Продолжая европейский промоушен после проведения Eurovision In Concert в Амстердаме, Гай Себастиан принял участие в телешоу "Life 4 You", где исполнил акустическую версию своей конкурсной песни "Tonight Again". Видеозапись его вы можете увидеть здесь. Во время интервью, Гай пошутил о том, что в номере для Евровидения будут представлены механические кенгуру, но потом признал, что на самом деле в не будут некие "причудливые фонари". В среду, представитель Австралии выступил в утреннем шоу MOMA на телевидении Германии, увидеть запись его выступления вы можете здесь, а также в программе DAS! - здесь. Австралийская звезда Евровидения, Гай Себастиан, рассказывает о своих ощущениях от участия в Евровидении и исполняет короткий отрывок песни "Tonight Again" акапелла. Восход солнца в Сиднее 26 марта идеально подошел для съемок визитки представителя Австралии, которую проводила съемочная группа Blink TV. Как обычно, визитка будет предварять выступление Гая Себастиана в финале конкурсе Евровидение в субботу 23 мая. Бандероль с личным подарком из Австрии пролетела над гаванью на одном из знаменитых Сиднейских морских самолетов, а после была передана в высокоскоростное водное такси, и была доставлена лично первому представителю Австралии на Евровидении, Гаю Себастиану. Гай был весьма заинтригован, что же предложит ему австрийская сторона в съемках второй части открытки! Второй год подряд, конкурс Евровидение будет официально транслироваться в Новой Зеландии. Подразделение телеканала BBC - UKTV Новая Зеландия будет транслировать все три шоу в прямом эфире в 7 часов утра по местному времени, а также в записи вечером - 20 и 22 мая в 20.30 и 24 мая в 18.30. Гай Себастиан представит Австралию на Евровидении в Вене - но его песня пока не определена. Объявление было сделано телеканалом SBS в рамках пресс-конференции прошедшей сегодня ночью (утром по австралийскому времени) в Сиднейском Оперном Театре, которую провели Джулия Земиро и Сэм Панг. Интервью артиста ABC News можно увидеть здесь. "Мы очень рады тому, что добились возможности для Австралии быть представленной на Евровидении. На достижение этой цели было потрачено четыре года, и я горжусь тем, что Гай Себастиан будет представлять нашу страну мировой аудитории Евровидения. Он - опытный исполнитель, который уже достиг всемирного успеха, вокальные таланты Гая не имеют себе равных, и он имеет опыт, зрелость и силу характера, чтобы представить нас в этом конкурсе. Австралийцы любят соперничать, и мы хотели найти кого-то, в кого мы все бы могли поверить и поддержать, и Гай - идеальный артист для того, чтобы представить Австралию и SBS на мировой арене"
"Мы рады объявить Гая Себастиана нашим первым участником Евровидения. Он обладает индивидуальным соул-вокалом, напоминающим великих Стиви Уандера и Эла Грина, но в то же время отчетливо выделяющего его собственную манеру. Он созрел, чтобы стать потрясающим автором песен, и песни, такие как Battle Scars и Linger показать его целостность как артиста, и глубину его таланта. Прежде всего, Гай - артист, который отражает современное состояние Австралии - он очень уместен в качестве посла нашей музыки и нашей культурной жизни (и не только из-за его любви к крикету), и я уверен, что он прекрасно отстоит честь австралийского флага. Одним из самых больших факторов в принятии этого решения было то, что нам был нужен такой исполнитель, который бы имел достаточно уверенности в себе, чтобы завоевать крупнейшую сцену мира. Я знаю, что Гай будет одним из лучших певцов на конкурсе этого года. И кто знает, может быть он сможет вернуться в Австралию с победой"
"Гай стал одним из самых успешных исполнителей Австралии за последние 12 лет благодаря своему удивительному таланту и упорной работе. Начиная с 2003 года, он выпустил серию мультиплатиновых синглов и альбомов с продажами более 4,5 миллионов экземпляров в Австралии, и более 1 млн проданных копий одного трека "Battle Scars" в США. Это такая отличная возможность для Гая стать первым в истории представителем Австралии на Евровидении, и я невероятно горжусь тем, что именно он будет представлять австралийскую музыку на мировой арене. Мы рады сотрудничеству с SBS в этой замечательной возможности и с нетерпением жду шанса поделиться его невероятным талантом с остальным миром." "Невероятно интересно получить возможность выступить на Евровидении. Это самое большое музыкальное событие в мире с удивительной историей и традициями, и для меня действительно большая честь быть приглашенным представлять Австралию в ее первое участие в данном конкурсе"
Организационная группа конкурса Евровидения со стороны Европейского Вещательного Союза и Телевизионный комитет ЕВС приняли решение допустить в 60м юбилейном конкурсе Евровидение участие Австралии в качестве конкурсанта. Решение было опубликовано 10 февраля 2015 года. Представитель Австралии выступит напрямую в финале конкурса (как и страны большой пятерки и Австрия), что повысит число финалистов до 27 и общее число участников до 40. Финал Евровидения будет транслироваться рано утром (в 5 утра по местному времени) в прямом эфире в Австралии, комментаторами шоу вновь станут Джулия Земиро и Сэм Панг, а его запись выйдет в прайм-тайм на телеканале SBS One вечером того же дня уже в расширенной версии с закулисными интервью и прочими дополнениями. Промо-ролик австралийского участия в конкурсе можно увидеть здесь. Австралия также получит уникальный шанс проголосовать в обоих полуфиналах и финале конкурса, в настоящее время, несмотря на разницу в часовых поясах, в дополнение к голосованию профессионального жюри прорабатывается возможность введения в Австралии и голосования телезрителей. В случае победы Австралии, телеканал SBS Австралия должен будет найти себе партнера в Европе по организации конкурса 2016 года в одной из стран. На данный момент, ведутся переговоры с Германией, которая станет страной-организатором в случае победы Австралии. В случае победы, в 2016 году представитель Австралии вновь будет допущен на конкурс. Как и любая другая участвующая страна, Австралия имеет право до 16 марта выбрать своего представителя на конкурс. В интервью Sydney Morning Herald Джулия Земиро отметила: "SBS в сотрудничестве с продакшн-компанией Blink TV выберет артиста, который представит Австралию на Евровидении 2015". Сама же Земиро полушутя-полусерьезно заметила, что предпочла бы увидеть на конкурсе исполнителя-аборигена с нетрадиционной сексуальной ориентацией, добавив позднее, что SBS не пошлет на конкурс фриков. "В общем, за этот вопрос отвечают наши партнеры из продакшн-компании, и в итоге выбор будет делаться на основе комбинации факторов: кто захочет, кто свободен в это время, и кто сможет исполнить песню.". 16го февраля Blink TV пригласило всех исполнителей, желающих представить Австралию на Евровидении отправлять свои заявки на office@blinktv.com.au. Крайний срок приема заявок - 20 февраля. Предпочтение будет отдано исполнителям и авторам песен с австралийским гражданством. SBS/Blink также напрямую свяжутся с рядом лейблов и артистов для подачи заявок. Было отмечено, что в течение суток было получено 73 заявки. Представитель Австралии будет назван в ночь с 4 на 5 марта в 01.30 Москвы (09.30 по местному времени) на специальной пресс-конференции в Sydney Opera House и в прямом эфире канала SBS One. Фанаты могут также высказать свое мнение, проголосовав в опросе на сайте SBS. "Мы очень рады, что получили эту историческую возможность быть представленными на крупнейшей мировой арене в рамках 60-й годовщины Евровидения, и гордимся тем, что Европейский вещательный союз поддержал нас в достижении этой амбиции. SBS ведет показ Евровидения уже более 30 лет, и мы видели, как любовь австралийцев к этому конкурсу возросла за эти годы"
Исполнительный директор ORF Александр Врабец говорит: "Конкурс Евровидение смог за свою историю стать крупнейшим событием развлекательного телевидения в мире. С участием Австралии, вместе с нашими партнерами на ЕВС и SBS, нам удалось поднять его на новый глобальный уровень и возвести еще один мост к 60-летию. Мост, который охватывает весь земной шар, начиная от сердца Европы". Это - первое подобное решение Европейского Вещательного Союза после того, как Косово было разрешено, не являсь членом ЕВС, принять участие в конкурсе Евровидение для молодых танцоров. В прошлом году, возможность участия телекомпаний, не являющихся полными членами ЕВС, также рассматривалась для Детского Евровидения, но решение по данному вопросу было отложено на год. Новость очевидно разделила обычно единое сообщество поклонников Евровидения, и ими были подняты несколько актуальных вопросов. В частности, было отмечено, что в ожидании участия находятся несколько других стран, которым должен был бы быть отдан приоритет в случае подобного приглашения, например, Казахстан, частично находящийся в Европе и транслирующий конкурс последние пять лет. Другие поклонники конкурса обратили внимание на большую актуальность поддержки участия в Евровидении постоянных стран, таких как Турция, Украина, Хорватия и Босния, а не разового участия стран, географически не имеющих ничего общего с Европой. Своими замечаниям с ESCKAZ.com поделился эксперт в области Евровидения Андрей Михеев, проживающий в Казахстане, но в то же время являющийся одним из руководителем международного фан-клуба Евровидения ОГАЕ Остальной мир, который представляет в том числе и интересы Австралии: "Отсутствие строгих критериев приема или отказа в приеме стран-участниц конкурса может негативно сказаться на его деловом имидже, а участие Австралии может быть воспринято европейским телезрителем, как развитие "комедийного" статуса шоу. Поэтому, хотелось бы верить, что организаторы заранее просчитали все возможные риски, связанные с принятием данного решения. Тем не менее, поскольку интерес со стороны Австралии к конкурсу широко известен, мы надеемся, что это участие приведет к признанию австралийских поклонников Евровидения на международном уровне и позволению создать в это стране собственный фан-клуб системы ОГАЕ, идею чего мы продвигаем уже несколько лет". Официальный твиттер-аккаунт Европейского Вещательного Союза ответил на ряд вопросов, возникших у его поклонников. Так, стало известно, что инициатива в данном предложении исходила от стороны ЕВС, который сформулировал телевидению Австралии критерии возможности подобного разового участия и эти критерии были одобрены. В данный момент инициатива считается разовой, но в будущем возможны и другие подобные исключения из правил Евровидения. ЕВС отказался комментировать финансовую сторону вопроса, заметив, что прибыль в данном случае конкурс получит не финансовую, а имиджевую: более интересные и разнообразные шоу в Вене. Касательно же возможности участия Турции, было отмечено, что у телеканала ТРТ была возможность подать заявку до крайнего срока приема заявок на общих основаниях, чего не было сделано. В подобных случаях, например Турции и Болгарии, в отличие от Австралии, ЕВС не рассматривал возможности разрешения подачи заявок в более поздние сроки.